As a small business owner, one of the biggest decisions that you may ever have to make is the decision to sell your company. You need to concern yourself with how, to whom, and where you are going to sell your business. What if Your Business is Not Profitable? There are two ways in which you can sell your business. You can either hire a broker to sell it for you, or you can try to sell it yourself. The easiest way to go would be to hire a broker because they will take a lot of the stress off your shoulders. They will take care of creating the sales listing and advertising it on the internet and through their various brokerage networks. This will expose your sales listing to a plethora of potential buyers who are likely qualified to purchase your company. Once the buyers see your listing and send a request for more information, your broker will be the one to address their concerns and answer their questions. You won’t have to worry about any of that. Instead, you can continue focusing on running your business and keeping it a success as your broker works hard to sell it for you. Of course, you can expect to pay a commission to your broker if they successfully sell your business. 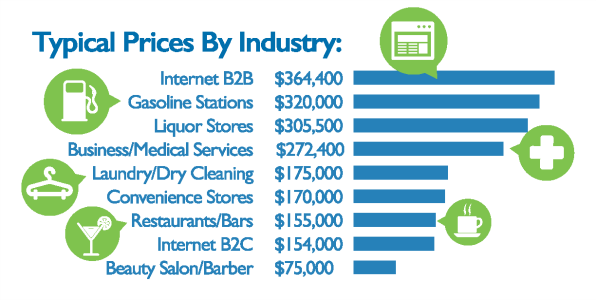 The average commission rate is 10% of the final sales price for the business. Brokers may add other fees, so make sure you are aware of all the services that your broker charges before you sign an agreement with them. If you do not like the idea of paying a commission percentage and additional fees to a broker, then you can always take the more cost-effective option by trying to sell the business yourself. This means you would be handling all aspects of the sales process on your own. As you can imagine, the hardest part about doing this is finding the time to communicate with buyers and answer their questions. However, if you have managers and workers who can keep your business running smoothly while you worry about selling it, then this will be a huge advantage for you. About 10 to 15 years ago, it was rather difficult for a business owner to sell their business all by themselves. But now, there are DIY platforms like ExitAdviser which have simplified the process for managing all the tasks of a business sale. You can create a sales memorandum, calculate an estimated value of your business, create an ad, and publish your ad in the marketplace. This covers most of the tasks for selling your business in the first place. If you tried to hire a business broker, then they likely wouldn’t devote as much time and energy to your sales listing in this way. Business brokers usually like to take on bigger accounts which are worth more than one million dollars because selling a business this big would earn them a greater commission. So, if your business is being sold for well under one million dollars, then a business broker is not going to do a good enough job of selling it. They may just publish your sales listing by using a premade template. The most they will do is communicate with a couple of prospective buyers, but that is all. On the off chance that your business happens to sell with a broker, would you really want to pay them 10% commission for making such little effort? Any small business owner would benefit more from going by a DIY route and selling their business themselves. "Should I Use an Auction to Sell My Business?" There are two types of business sales that you can conduct; an assets sale and an ownership sale. An assets sale is when you are only selling the assets of your business and not any ownership interests. This means you would only be selling the intangible and tangible assets of your business. Intangible assets would be your brand name, trademark, copyrights, as well as the list of your customers and contracts. Tangible assets would be your equipment, inventory, building, and land. In an ownership sale, also known as an entity sale, you would be selling your ownership (membership) interests and all the company’s assets too. If your company has stock, then your buyer will be purchasing all your shares of ownership so that they can gain control of the business. Otherwise, if you own a private small business, then you just transfer the membership of the business entity into the buyer’s name. The way in which you sell your business will depend on the type of business entity you have and where the value of your business is located. For example, asset sales are appropriate if you are running a sole proprietorship because there is no actual business entity that is separate from yourself. The only value in sole proprietorships comes from its assets and nothing else. For all other business entities, such as a partnership, limited liability company, and corporation, it could be either an ownership sale or an assets sale. The seller may not always want to set a specific sale type right away. They may wait to discuss it with a potential buyer and see which one they would prefer to do. In most cases, buyers will want ownership interest if the business is making a profit and they can step in to take over running it. However, if the business is losing money, then most buyers may just want to purchase its assets without inheriting the ownership obligations and debts of your business. So, it all depends on how successful your business has been over the last few years and in the present. Be prepared to present your financials to prospective buyers. You can either sell your business to a third-party buyer or someone within your organization or network. If you list your business for sale in the open marketplace, there will be potential buyers looking at your sales listing. Those buyers who are interested will be asking you questions and requesting more information about your business. On the other hand, you may want to consider selling your business to an employee or stakeholder of your business. That way, you give them a chance to keep their job and you will be selling your company to someone who is already familiar with how your organization operates. Sometimes selling to a competitor will be an effective option because they may purchase your business to expand their own operation which is like yours. If you can’t find third-party buyers or employees to sell your business to, contact your competitors and see if they are interested in purchasing it. Finally, you could just sell your business to a family member that you trust enough to run it well. You could even offer them seller financing to get the deal going faster. Let's discuss these options one by one. 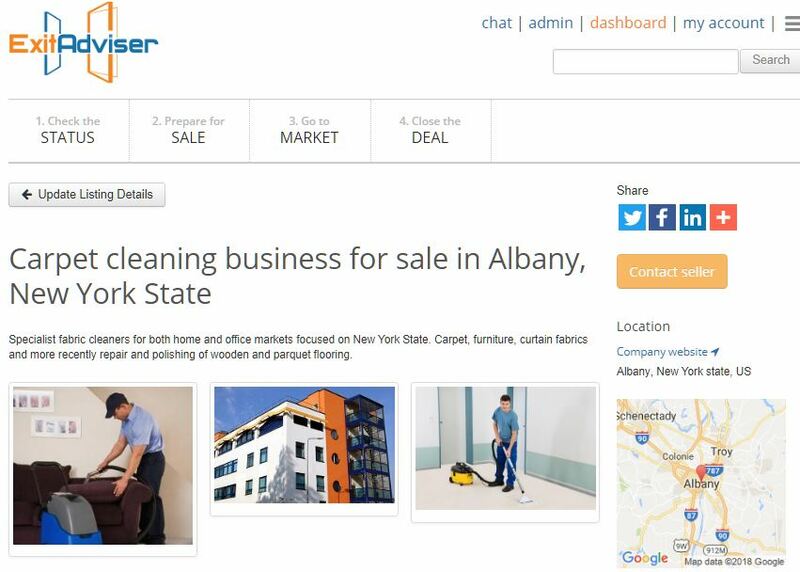 Selling your business in the public marketplace means posting up sales listings on websites which specialize in publishing "business-for-sale" listings. Some of the top online business-for-sale platform include ExitAdviser.com (a complete DIY selling platform), BusinessesforSale.com and BizBuySell.com. If you own a physical, "brick and mortar" type of business, then you should try listing on one of these websites. For those who just have an online business, there are other platforms like Flippa.com which are appropriate for these types of listings. They specialize in website-for-sale listings which include e-commerce websites too. Regardless of which website you decide to list on, be aware that they are not brokers or sales agents. They are just selling platforms that will help bring relevant traffic to the sales listing of your business. However, it will still be your responsibility to communicate with potential buyers and answer their questions. Some of these websites will offer you additional tools to help you throughout the sales process, such as legal templatesand forms for the various contractual paperwork that you will be dealing with. In some cases, you can pay extra to receive advisory services for your listing and the sale. Ultimately, you will still be in charge of orchestrating the sale of your business. If you are new to the selling process and you want the most assistance possible while still doing it yourself, then you will need an end-to-end selling platform like ExitAdviser to assist you. This platform will expose your sales listing to a marketplace with a lot of traffic from people who are looking for businesses to purchase. You will also have professional online tools which will assist you in every step of the sales process. It is not recommended that you take the cheaper route and just post your sales listing on free directory websites. Craigslist, for example, is not the type of website where you can expect to find a serious buyer for a business. The only serious buyers go to websites which specialize in the business-for-sale niche. So, it is best to go to a business-for-sale platform and pay for the services provided and for the placement of your sales listing. You will get better results that way. Selling your business to employees will save you the time and money from creating and advertising a sales listing. With employees, there is no waiting and wondering whether you will find a buyer or not. You can just go right to your employees and offer the company for sale to them. Since they are already personally invested in the company, they may want to consider purchasing your business through either an Employee Stock Ownership Plan or a Management Buyout. You get to decide which one you want to use. They each have their advantages and disadvantages, so your decision should be based on how many employees you have and the overall size of your company. An Employee Stock Ownership Plan is when the company’s employees get the unique opportunity to purchase your shares of the stock so that they can get ownership of the business. Sometimes this plan is set up like a retirement plan where employees earn stock as a bonus each year they stay with the company. But when it comes time to sell the company, you can just sell all the remaining shares to them that you currently own. Of course, they are likely not going to have the money to purchase all these shares. However, the Employee Stock Ownership Plan will make them eligible to apply for a commercial loan to purchase your shares. They will likely get approved for the loan because the lender will use your company’s stock as the collateral for the loan. The management buyout is when ownership of the company is sold to its key managers. If you have a private company and you want to sell it to your employees, then this is the option that you will have to go with. They would not be purchasing shares of stock in the company to gain ownership. Instead, they would be purchasing the company directly from you. In most cases, they will not be able to take out a commercial loan for this purchase. They will have to likely get a private loan to afford the purchase price of the company. Either that or you could offer them a seller financing deal (see below) where they make monthly payments to you. Your company may have some competitors. There are near competitors, direct competitors, and indirect competitors. Near competitors are targeting a different area of your industry’s market, while direct competitors go after the same market as you. Indirect competitors fall in the middle by only utilizing a small portion of the same market. When you want to sell your business to a competitor, the type of competitor that you choose to sell to will depend on certain factors about your business. What you must understand is that direct and indirect competitors are out to hurt your business because they are targeting the same market. That is why a lot of business owners will sell to near competitors because they are in a different market and are not trying to hurt their business. However, it may not always be a good idea to sell to near competitors, especially if your business has a lot of loyal customers. Direct and indirect competitors will find a lot of value in those loyal customers. This means that if they purchase your business, they will be inheriting those loyal customers for their business. As a result, these direct and indirect competitors may be willing to pay a higher price to obtain ownership of your business. Just be careful about disclosing your company’s confidential information to a competitor during the sales process. You don’t want them to take your information and profit from it without completing the purchase of your company. Get your confidentiality agreements in proper order to prevent them from doing this. Selling or transferring your business to a family member will be the easiest way to get out of your company. However, you need to be sure that your family member will be able to handle running your business. Don’t just transfer your business over to your son or daughter because of some family obligation that you feel is necessary to fulfill. Like with a third-party buyer, you need to be sure that your family member can run the company successfully and keep it profitable. If your business is currently not profitable, then giving the company away to your family member as a gift might be a better option than selling it to them. That way, you can take advantage of the tax benefits associated with gifts because the givers don’t have to pay any taxes until the value of their total gifts given has reached $5.45 million. Since you likely have a small private business, the value of this business is going to be less than $5.45 million. Therefore, giving your business away as a gift to a family member will mean no taxes for you to pay. More than likely, you will be seller financing the business to your family member which means they are going to be making monthly payments to you in exchange for ownership. A lot of business owners sell to their family members because they want to retire and receive a nice passive income that they can survive on for the rest of their lives. If you don’t want to worry at all about running the company anymore, then make sure you conduct a full sale of your business to your family member. If you still want to retain partial control of the company, then you need to conduct a partial sale instead. This will allow you to keep the assets and a small portion of the profits while the new owner runs the business. Then you can make a monthly income off the profits and from leasing the physical establishment of the business to your family member. 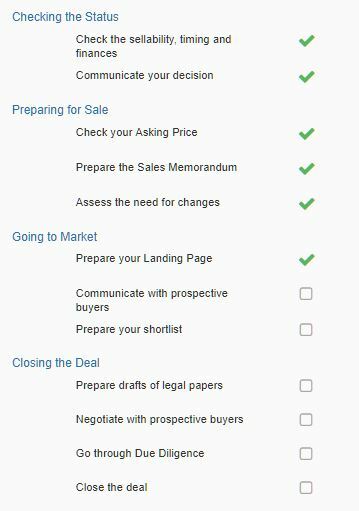 The steps of the sales process include checking the status, preparing for the sale, going to the market, and then finally closing the deal. Checking the status is the first step and it involves figuring out whether this is the right time to sell your business. You will want to examine the profitability of your business and whether it has any value or not. Even if there is no value, you may still decide to sell your business through an assets sale if you feel it is the best decision. Most of all, you need to figure out the best way to inform your top-level employees about your decision to sell. Since they are the ones running your organization, they need to be informed about this so that they can prepare for it. The second step is to prepare for the sale. This is where you do your investigations into the value of your business. You can use business valuation tools on platforms like ExitAdviser to figure this out. It is important to know the value of your business because this will help you determine what your asking price should be. Then you can explain to buyers why this is your asking price by showing them proof of the company’s value. This will help motivate them to agree to purchase your company for that price. The third step is going to the market. This is where you list your business for sale in the marketplace and start communicating with potential buyers. 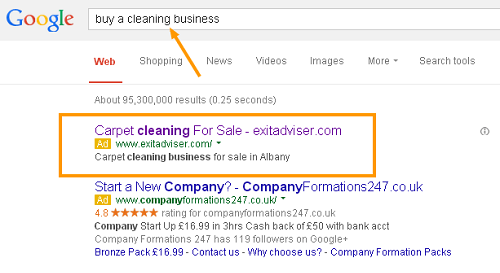 ExitAdviser gives you access to a Go-to-Market tool to help bring your sales listing to the Google search engine. This is perfect because most people looking to purchase a company are likely going to be searching Google first. Based on your niche and keywords, you will be getting the right buyers contacting you from Google. There is also the ExitAdviser marketplace itself which will publish your sales listing too. Once you find a buyer, the last step will be closing the deal. This is where you prepare all your legal forms and contracts. You can download templated legal forms from the ExitAdviser website. Some of the most important forms you will be dealing with include a Letter of Intent, Due Diligence Agreement, and Business Sales Agreement. You can use a direct or indirect method for determining the sales price of your business. The direct method would be a discounted cash flow. This is where the sales price is determined by the company’s future estimated profits. If you have a profitable business already, then the direct DCF-method is the best way to establish your sales price. The indirect sales method uses the market value of your business to determine the sales price. The market value is based on analytical reports of other businesses like yours which were sold. The analysis will factor in the sales revenue, owner’s discretionary earnings, and earnings before interest, taxes, depreciation, and amortization. When you are closing the sale of your business, there are six important legal steps that you must go through. Don’t forget that selling a business is a legal process too. There are laws and regulations for business sales which must be followed for your own sake. That way, you won’t suffer any legal ramifications from the buyer after the sale has been concluded. When you first find a potential buyer and they sign the general agreement, there is still nothing preventing them from backing out of the deal and using the information they learned. So, a declaration of intentions is the first step in the process. This is where you create a Letter of Intent or Term Sheet (a less formal document) which outlines all the terms of the deal. It also may require the buyer to make a deposit in order to show their seriousness. The Letter of Intent will help the buyer secure a commercial loan to purchase the business from you too. However, you need to make sure the buyer does not disclose your private information. You can do this with a confidentiality agreement (NDA) that you both sign. At this point, the buyer will perform their own due diligence which should have been mentioned in the Letter of Intent. This means they are required to do their own research into your business. As the seller, you can supply them with whatever information they request. Once they have finished their due diligence and are happy with the results, then a purchase agreement should be the next legal contract that gets signed. This is what will make the deal official and prevent the buyer from backing out. Have an attorney create this agreement because it needs to have all the proper legal language in it. Now you need to find out how your buyer is going to pay. It would be the easiest if they were paying in cash but most likely they are going to obtain financing. They may obtain financing from a bank or request that you seller finance the business to them. The better option would be to let them obtain their own financing, especially if your business is profitable and doing well. Seller financing is only good if you have a business that is failing and you want someone to take it over immediately. After you have worked out the payment terms with the buyer, you need to focus on the local laws and state laws surrounding the sale. Consult with an attorney and make sure these are being followed. Otherwise, you could end up paying fines and other penalties to your local or state governments if you break any of their regulations. Lastly, the remaining step is to complete the sale and transfer ownership of your company to the person who just bought it. If you make a profit after selling your business, it is legally deemed as taxable income. This will be a captain gains tax which you have to pay whenever you sell your company’s stock or assets. The exact amount of tax liability you will incur depends on how you are selling your business and the type of business you are selling. You should speak with a tax advisor for further information on your tax liabilities if you were to sell your business. For starters, different types of companies are taxed differently. If you own a sole proprietorship or limited liability company, you will only need to pay the capital gains tax one time after the sale. But if you own a C corporation, the Internal Revenue Service would treat it as a separate entity and end up taxing you and the company separately. This would mean that you’d have to pay the capital gains tax twice. As for partnerships and S corporations, those capital gains taxes get paid on the individual tax returns of the owners and does not have to be paid on a commercial tax return. Although there are a lot of risks involved with seller financing, one big plus is that you don’t have to pay taxes on the monthly payments until after they have all been received. If the buyer ends up defaulting on the deal, you only pay taxes on the funds that have already been paid to you. On top of that, you can legally take control and ownership of your business once again while keeping the money you have received. Therefore, seller financing is the best option when it comes to reducing your tax liability. It is a good idea to maintain confidentiality regarding the sale of your business. This might sound strange because how are you supposed to find buyers if you don’t advertise to the public that your business is for sale? Well, there are certain ways around that. You can publish blind advertisements which only state generic information about the sale without revealing the company name or anything specific that will lead someone to identify your company. If you use a broker, then it will make confidentiality much easier because all the buyer inquiries can go through them instead of you. Once you find a buyer who you know is serious, you can get them to sign a non-disclosure agreement. This won’t totally protect you, but it will give you the confidence to reveal some more information about your company to them. Just don’t mention any specific strategies for operating the business. Stick to general information like the size of your company and annual revenue. Meanwhile, keep your employees in the dark as much as possible. You may tell your head managers if it looks like a sale is going to take place. But all other employees need to be kept in the dark or else they may want to resign early and look for a new job. It is important to keep productivity the same during the sales process. By not telling your employees about the sale, you can ensure that this will happen. Otherwise, if your employees start doing a lousy job or leave altogether, it will turn off your buyer and then the deal will fail. Your employees are bound to become suspicious sooner or later as the sales process continues to take place. They may see strange people in business suits being escorted around the work environment to see how things are done there. This might lead employees to believe that these are investors or buyers who are looking to purchase the company and take it over. Plus, your management team will already know about the sale and will likely be making new changes in various departments to prepare for the transfer. This will cause the lower-level employees to gossip about what is really going on. Your top managers should handle the lower-level employees by telling them that new changes are being implemented in the company. However, they should not mention anything about the sale of the business until the buyer has actually signed the purchase agreement, paid the money, and officially received ownership of the company. Once that has happened, your managers can then tell the other employees about the new ownership. You have read a lot about seller financing so far in this article, but let’s talk about it in more depth. Seller financing is a payment option that you can offer buyers who are serious and qualified to purchase and run your company but do not have the necessary capital to purchase it in cash. This is a common situation that occurs and if sellers don’t offer seller financing, then it becomes much harder to find any buyers at all. The truth is that most buyers who are browsing the marketplace are not going to be cash buyers. So, you need to offer a good financing deal for them to follow through and complete the purchase. Of course, you should not just give ownership to a buyer with no down payment. To ensure they are serious, ask for a 33% down payment on the final agreed price. This means if you were selling your business for $600,000, then you should require a $200,000 down payment and then seller finance the rest. What buyer would pay $200,000 and not try hard to follow through on the rest of their monthly payments? You could offer them a deal where they have 5 years or 7 years to pay back the other 66% of the note. Have a balloon payment requirement attached to the agreement which obligates them to pay off the rest of the balance after those years are over. Chances are, they will be able to pay the balance off early if they are thriving in the business and making a success out of it. There are always going to be risks involved with seller financing so be sure that you screen your buyers carefully. Even though you will be entitled to retain ownership of your business if the buyer defaults on the loan agreement, your business may still be in ruins if they managed to run it into the ground during their time of ownership. Then you will be left with a business that has little to no value. That is why you need to ensure that your buyer has experience running businesses and making successes out of them. If you have a business that does not generate profits, then you will have a harder time selling the business. However, there are strategies that you can implement to make the sales process go faster. You may be in a situation where your business continues to lose money and you just want to get it off your hands and transfer the responsibility to someone else quickly. If that’s the case, then you might want to think about lowering your asking price. This is the best way to attract buyers to a non-profitable business. When it comes to your method of selling the business, it may take longer if you list the business yourself on directory websites or retain the services of a broker to sell it for you. Studies show that 62% of brokers take 9 months or longer to sell a non-profitable business. If you sell the business yourself, then you will likely get buyers who are not serious and have no intention of following through. This leaves you with the online auction option. Online auctions tend to generate a lot of excitement and anticipation over a business sale. You can list your business details and all the due diligence information about your business on the auction. You don’t need to worry so much about confidentiality when it is a non-profitable business because who would want to steal information from an unsuccessful company anyway? The real value in your company is merely the assets which it contains. If anything, you will want to proudly advertise those assets because they will be your best chance of getting buyers to bid on your auction listing. Most small business owners have some amount of debt attached to their company. The highest level of debt accumulates during the first couple of years that the company is in business. After all, the company has taken out numerous commercial loans to pay for leasing property, purchasing inventory, hiring employees, advertising, and so on. It takes most businesses more than a few years just to break even on all the debt they have accumulated. But if a small business has not been able to generate enough profits each year, that debt is going to stick with the company for a long time. This means that the debt will likely still be there when they go to sell the business to a buyer. If a buyer is confident that they can turn the business around and make it highly profitable, they might be okay with inheriting the debt of an existing business after they purchase it. Their plan will be to make payments on that debt after their profits start increasing in the business. On the other hand, if a buyer doesn’t want to deal with this debt then they will just want an asset sale arrangement instead. This is where the buyer just purchases the company’s assets and maybe even its accounts receivables or at least a percentage of them. As for the seller, they may be keeping some of the accounts receivable, but they will be responsible for all the remaining debt of the business. The exact arrangement between the buyer and seller is always going to vary based on the company’s existing assets and liabilities. The value of the assets will play a key role in whether the buyer is willing to accept the debt of a non-profitable business. The length of time it takes to sell your business cannot be determined that easily. There are many underlying factors which determine how long it will take. For example, buyers will be looking at how profitable your business is, what your asking price is, the value of its assets, and how many liabilities and debts does it have. If your sales listing has been advertised for a long time, then it will be harder to find interested buyers because they will think that your business has no value if no one else has purchased it already. That is why you need to get your sales listing perfected just right in the beginning so that it doesn’t stay on the market for very long. If you were to ask a business broker, they will estimate that your company will sell between 6 months and 1 year. If it takes longer than 1 year, that is when you must be concerned and think about changing your sales strategy. The best way to ensure that you don’t wait this long is to offer as many valuable assets to the buyer as you can. In other words, you need to sell your contacts list, inventory, buyers list, suppliers list, and anything else that holds value to them as a business owner. Most importantly, you need to offer seller financing so that their upfront investment is lower. If you do this, then you will have the best chance of selling your business faster. Selling any business requires you to plan thoroughly and create a sales strategy. Just because you have a small business, doesn’t mean it will be any easier in selling it. You must not get anxious and take shortcuts to sell your company quickly or else you will lose money. Not only that, you could face legal ramifications if you have not abided by the legal requirements for business sales in your local area. To help you out during the sales process, you should consult with as many professional advisors as you can. This includes attorneys, brokers, accountants, tax advisors, and so on. That way, you won’t make any mistakes along the way.